459 Micras. "A bit better than December" is something nice to say. OK, Feb is typically one of the slowest months of the year. But what the heck is going on with Micra sales?? 354 sold last month. That's down 50% from a year ago, and a new low (full month) since its debut. It's even more surprising when you see that, overall, Feb was a record month for Nissan Canada sales. Maybe things will tick up in March with the big discounts on remaining last year's models. That's what seemed to happen last year. i think it's a good bet to say this oil slump in price , 2014-present, is the last time that gas guzzling mom mobile SUVs and brodozers will be so popular and dominant, before the affordable EVs take over. I don't think Micra's ever sold well in Canada. I think I know why. The Micra represents the Japanese car invasion of the 1970's, almost to perfection. That's exactly what I love about the Micra, and probably why sales have dropped off. First of all, it tries to accommodate everybody to a reasonable degree of comfort, not unlike how your dentist's office waiting room provides a reasonable degree of comfort. Yes, you get an armrest, unless the person next to you is already using it, and eventually your knees get sore from sitting in that position for too long, so you need to get up and walk around at some point. Okay, the seats aren't exactly punishing, and are reasonably comfortable for reasonable trips, but forget about doing the trip to Florida from southern Ontario in one stretch of drive. Next, you get on the highway, and...that's it? There are no more gears? To its credit, in my 5 speed, my Micra is very capable of pulling pretty good from the speed limit to around 200 km/h in 5th gear, IF THE SPEEDOMETER IS ACCURATE, which I'm certain it IS NOT, but even without the benefit of the doubt, it'll definitely hold its own past 100 MPH before the speed limiter kicks in, which is probably as fast as we can expect any Micra to go...but the go-kart fun gets tired day after day, and eventually, gosh darn it, wouldn't it be nice to have a relaxed ride on the highway for a change? At least under 3000 RPM without tractor trailers threatening to run you down? Then there's the company, who doesn't seem to give a crap about the Micra. You got a complaint? Too bad. It is what it is, but to be honest, some days I wish I spent the money to fix up the Grand Am GT. That thing was a highway cruiser, with lumbar support and an armrest for two, and a sunroof. Plus it had a temperature gauge from the factory! To their credit, the Nissan Note might be the Micra I really wanted. We haven't really put it to the test as far as a road trip is concerned, but it seems to deliver a lot where the Micra comes up short. Except in the go-kart fun-to-drive department. Micra still owns that. My local Nissan dealer doesn't even have any Micras on the lot. Dealers probably don't want the cars: everybody's buying SUV's & crossovers these days, which have a bigger profit margin. It's probably not even worth their time talking to prospects about a base Micra. Case in point: Nissan's newest addition to their lineup is the Cashcow... or Queasyeye... or Kumquat? Or whatever they're calling the crossover/SUV they're bringing over from Europe. hahaha cashcow. ill remember that. The saleman who sold me my Micra S was telling me the dealership was making about 600$ Profit on my 2017 model... at a price of $11300 after all the taxes. I cant help but believe him. The whole point of the Micra S is to bring customers to the showroom, then try to upsale them to an SR or SV. If this fail sale them an S. And hope to create brand loyalty and sale them a "cashcow" when they are ready to get an other car. This SUV is the same as Nissan Xtrail?? We haven't had the Xtrail here for quite a few years. 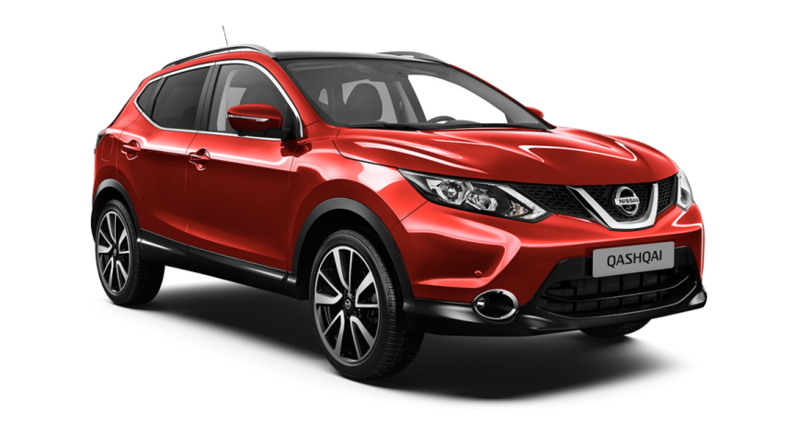 We have: Juke -> Cashcow -> Rogue -> Murano -> Pathfinder. Well here in México the Xtrail is the Rogue in others country.